It was a rainy Saturday night. He was sitting alone in his room, staring out of the window, as the sound of the rain played rhythmically outside. 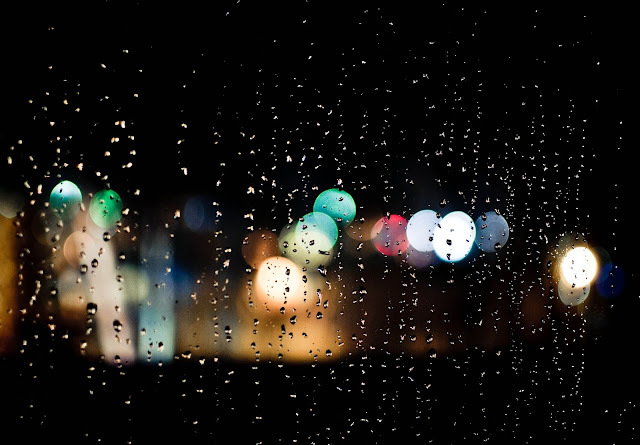 Most sad stories start with the mention of rain. He wasn't quite sure if his would qualify as a sad story. But it sure felt that way. Logically thinking, he knows he should not be sad. That's what everyone tell him. The newspapers, those inspirational posts on Facebook and his friends. That he is luckier than a significant portion of the world's population, simply by being able to sit inside a sheltered room in the rain, with running electricity and water supply. That was what he tried to tell himself too. That he was lucky. That he should have every reason to be happy, if not thankful. For the food and clean water he gets every day. For being able to attend school. For having friends. For owning a smartphone. But his efforts felt more like a pathetic attempt in the end. He just can't. Even trying to force a smile feels like a monumental task. Alone in the room, with only the brightly lit monitor to accompany him, there was a void in his heart. That something was missing. An unexplainable feeling of emptiness. And heaviness. His heart felt heavy. Unmotivated. Lonely. He knew he was unhappy. But he had no idea of what to do, except to continue to sit there, facing the rain. As he scrolled through Instagram feed on his phone, the void just seemed to grow bigger. Mark was out clubbing. Dave, a romantic dinner with his girlfriend. Michelle was at a sleepover party with her high school friends. All of them posted photos of themselves with big smiles and happy captions. Even on a rainy Saturday night, they're still having so much fun. Why are their lives so different than his? He clicked on the Facebook tab. There was Raymond who has just posted a photo of his brand new BMW car. Pauline's photo — right beneath his — showed off a diamond ring on her finger with a the caption "YES" on it. He scrolled down. Richard was traveling around Europe. Sandy, lying on a beach in the Bahamas, with a cocktail in her hand. Why does his life pale so much in comparison? He turns his attention to his desktop. He has played DOTA several times now. He could do with less name calling there. But there were not many other games that could give him the human interaction that he's craving for. He unlocks his phone. Save for the notification for app updates, nothing else. He wondered who he could call or message. Everyone else seemed to be having the time of their lives on a rainy Saturday night. Being happy, enjoying life. Like they figured out life. Everyone except him.